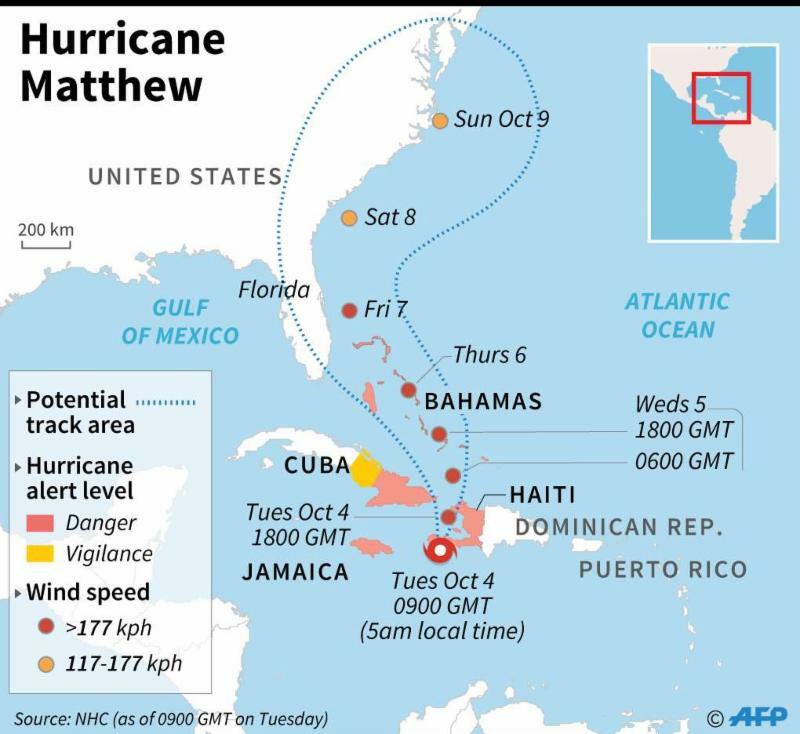 With Hurricane Matthew just off the East coast of Florida now is a good time to get your emergency plan in place. Service Works wishes to supply you with the following information in the event of a weather emergency. 1. Have someone in your organization with a basic knowledge of roofing determine what types of roof system(s) that you have on your facilities. Very broadly these can be classified as built-up roof with a gravel surface, modified bitumen, single ply, or shingles. 2. Have a basic roof plan sketch on hand to label damages. This sketch should be a faxable size so it can be easily distributed. 3. Keep any warranties you may have on your roofs in a safe and secure place where they can be easily located. These warranties can be a great source of information about the roof. 4. Inspect your roof(s) and make sure that they are free of debris and trees are pruned back. 5. Service Works has implemented our storm preparedness program and has stockpiled necessary materials to effect repairs in the event of direct hit. All repairs will be on a first call basis and will be billed at our emergency Time and Materials rates. These repairs could be temporary, based upon the weather conditions, and may require further attention once the storm has passed and we can assess the full situation. 6. Our phone number in Tampa is 813-626-7717, in Ft. Myers 239-344-8734. Our emergency after hours number statewide is 888-842-0678. 7. Service Works has made every effort to have a program in place to take care of our customers needs during what could be very trying times. We would ask for your understanding and cooperation so that together we can insure a safe and smooth operation. Stay away from flood waters. Drive only if absolutely necessary and avoid flooded roads and washed-out bridges. Continue to follow all flood safety messages. Flood waters may last for days following a hurricane. If you come upon a flooded road, turn around and go another way. When you are caught on a flooded road and waters are rising rapidly around you, if you can safely get out of the car, do so immediately and climb to higher ground. Never try to walk, swim or drive through such swift water. Most flood fatalities are caused by people attempting to drive through water or people playing in high water. If it is moving swiftly, even water six inches deep can sweep you off your feet, and two feet can carry away most automobiles. Is it time for that roof inspection? Does your roof need to have the drains and gutters cleaned? Have you preformed the required roof maintenance under your manufacturers warranty? A semi annual roof inspection and preventative maintenance program has been proven to extend out the life of your roof and can actually save you on the major expense of a reroof.